A solid foundation that leads to high employability, evident from a 2011 graduate employment rate of more than 85% within 6 months of graduation, is core to the education that a student receives at INTI. The courses here are firmly supported by strong partnerships with industry, and driven by an experienced and well-qualified teaching staff. Aside from lectures, many initiatives are in place to help INTI’s students build up competencies and learn new skills. These include Enrolment to Employment (E2E) – a synergy with blue-chip companies including IBM, Deloitte, Digi and Ricoh, among others, aimed at increasing the employability of every INTI graduate. E2E addresses critical market needs by tailoring courses together with the industry, which means that the curriculum and coursework activities at INTI are designed to be in tandem with the expectations of the industry, as well as being relevant to the market’s needs. 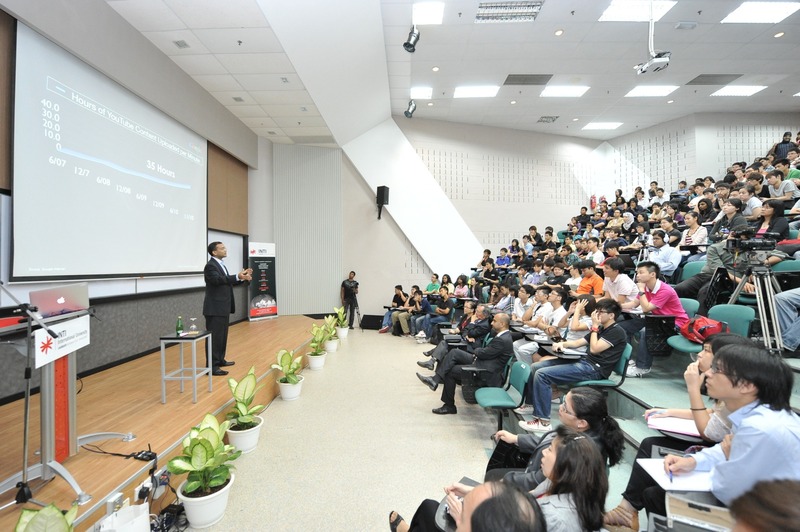 BLS presentations by industry leaders are witnessed live at INTI International University and also beamed to INTI’s other campuses across the nation. A unique component of E2E is the Business Leadership Series (BLS), which has seen prominent corporate leaders such as Google Malaysia’s Sajith Sivanandan, Media Prima’s Ahmad Izham Omar, Dell’s Bobbi Dangerfield, Microsoft Malaysia’s Ananth Lazarus, Frost & Sullivan’s Manoj Menon, IBM’s Ramanathan Sathiamutty and many others speaking to INTI students on the latest trends and developments in business and career opportunities on a global scale. The opportunity to be inspired by accomplished thought leaders on a regular basis is a privilege accorded to few students outside of INTI. Held on an almost monthly basis since it was initiated in 2010 and delivered predominantly at INTI International University in Putra Nilai, BLS is also viewed via live stream by students and staff at INTI’s campuses nationwide. Apart from participating in the Business Leadership Series, students also undertook 50 Project Based Learning projects in the past year in collaboration with the industry partners. Real employer projects ranging from “Stem cell harvesting and preservation awareness” to “Creative and workable CSR ideas for IBM” were introduced in the classroom to develop problem solving, collaboration and communication skills. Project Based Learning is becoming a key strength for students’ learning experience across INTI’s campuses, and will serve as an increasingly important component of education for years to come. Students of INTI benefit not only from the institution’s over 25 years of experience and strong track-record, but also gain from the global synergy and resources that Laureate International Universities provides. Laureate has a presence in 29 countries, with more than 60 accredited universities and 130 campuses, serving more than 675,000 students globally.For more information on INTI’s industry-linked initiatives, call 082-570888 / 06-7982000.